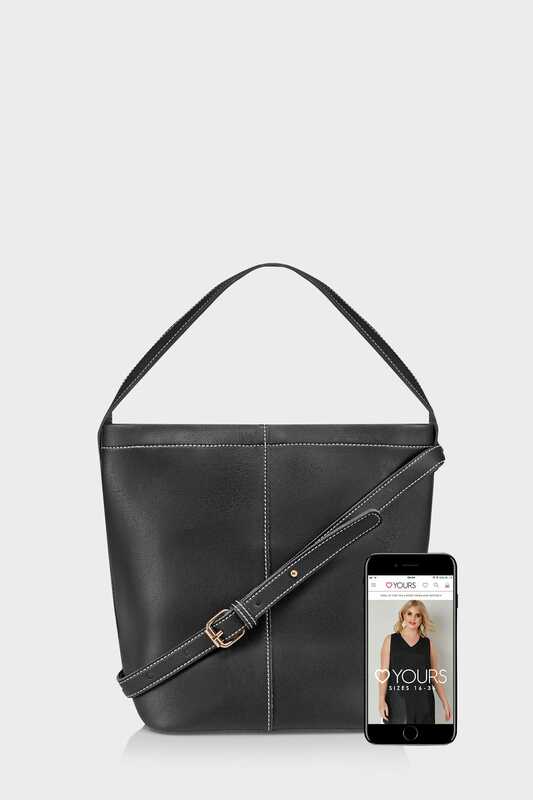 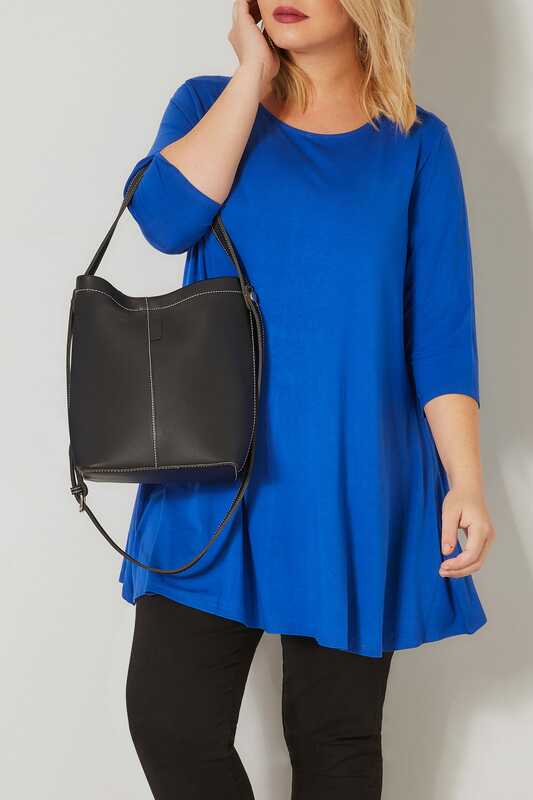 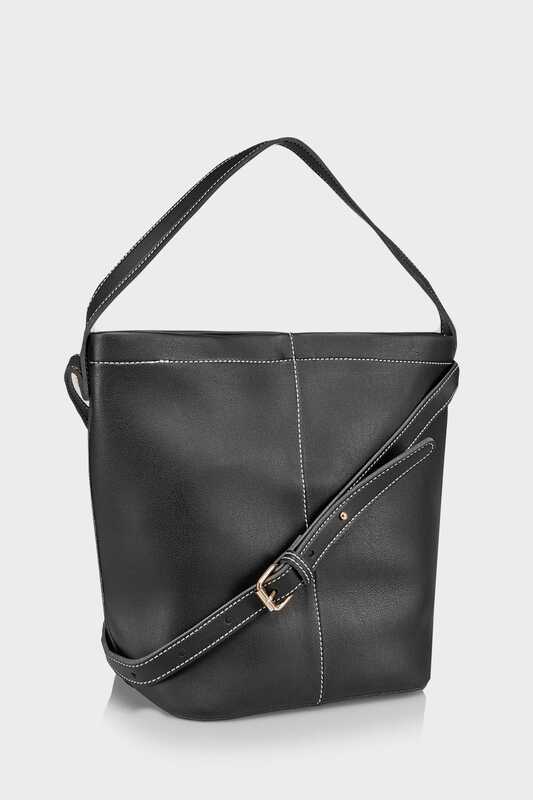 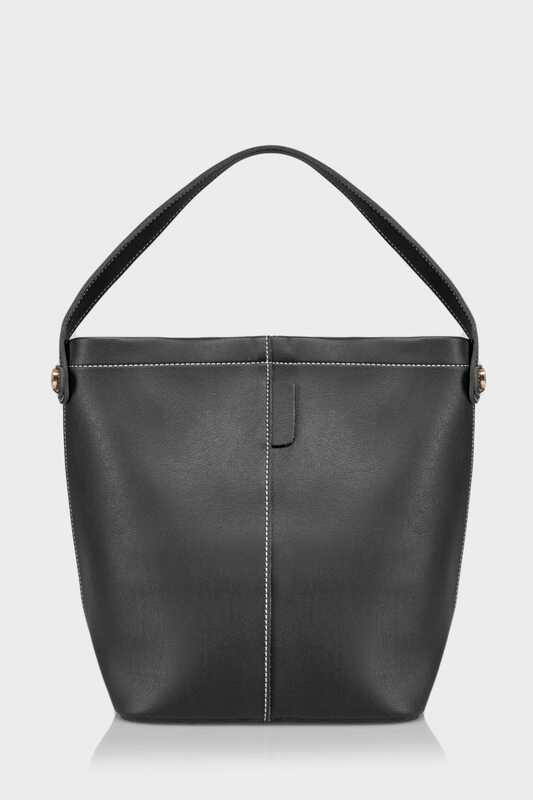 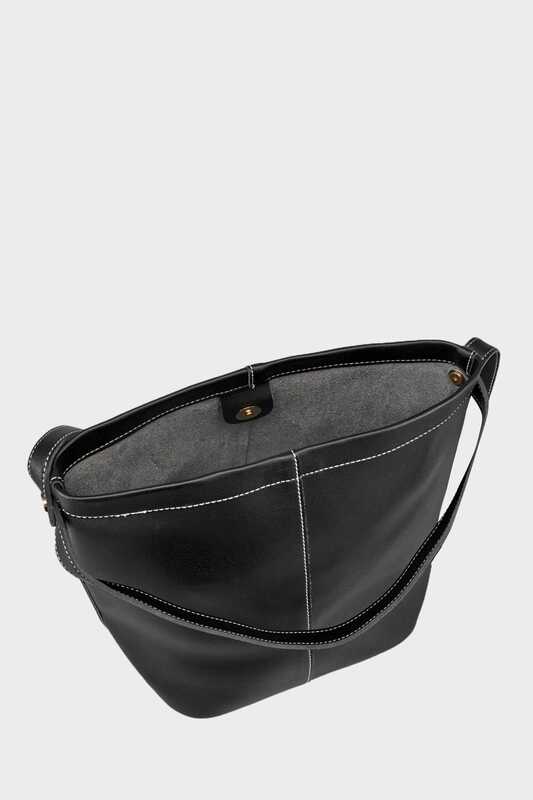 Black leather look bucket bag with contrasting white stitch detail. 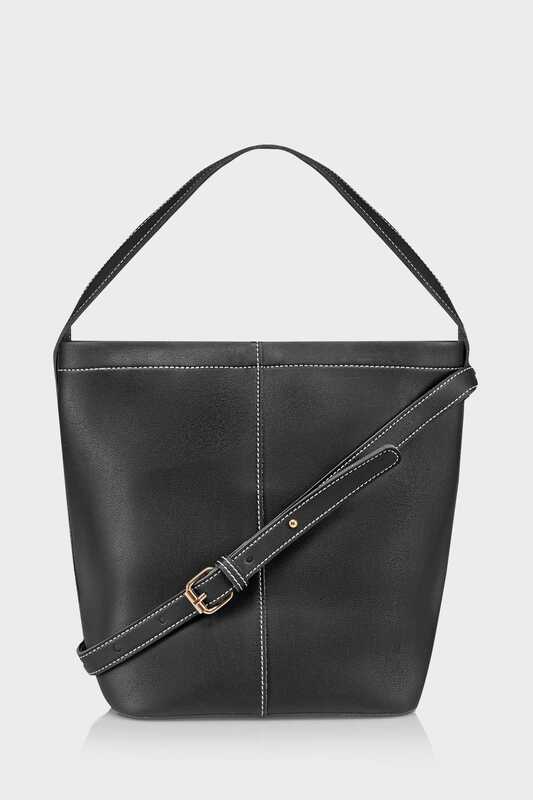 Featuring adjustable shoulder strap with magnetic popper close. 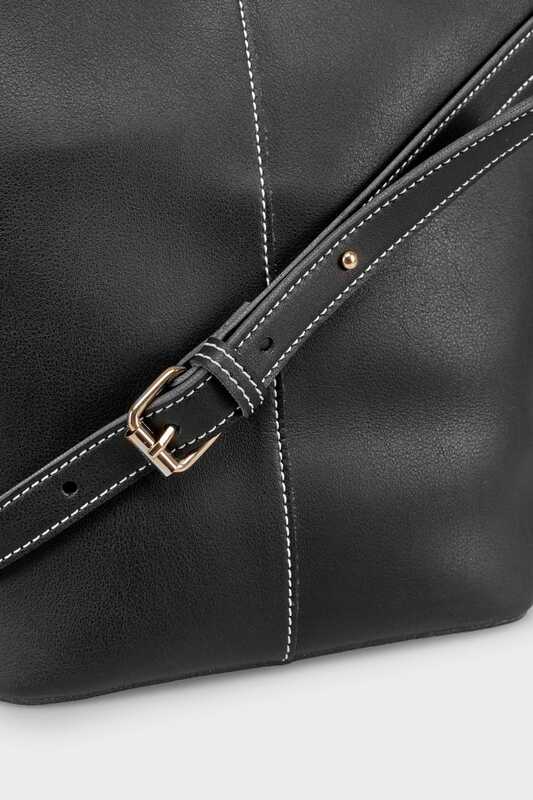 This super chic bag is guaranteed to enhance your look.